As you enter into the holiday season, perhaps you are wondering what to give your boss, direct reports, teammates, co-workers, clients, customers, or mother-in-law. Look no further! Especially if you are looking for a way to shop online. 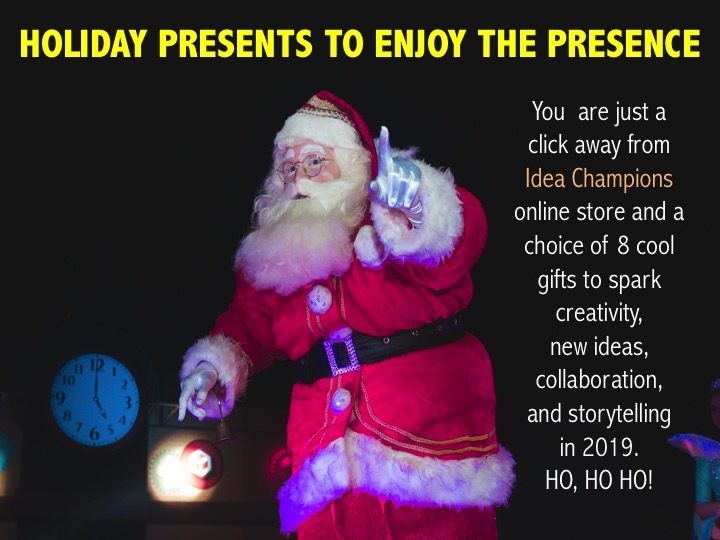 Idea Champions' online store is now open for business -- offering a variety of mind-opening books, card decks, and innovation-sparking tools. Prices range from $9.95 -- $129.